When you consider how many chances there are for a mistake in the injection mold making process, it is a wonder things go as well as they do! 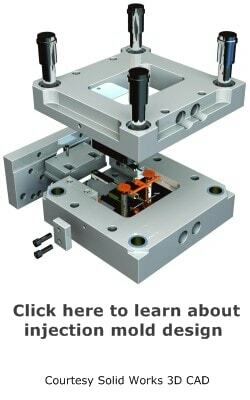 Considering that you have done to get the mold built: product design, mold design, possible additive manufacturing of a prototype, steel ordered and rough machined. 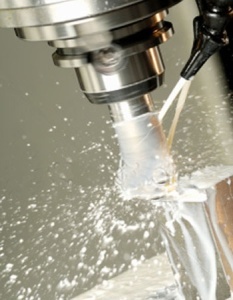 Then there is the CNC machining of the cores and cavities, heat treating, CNC grinding , WEDM, high speed machining of electrodes, sinker EDM, manual mold making skills such as surface grinding and polishing, well, you get the point! Not only that, but you also have state and federal regulations to consider, such as OSHA. Everyone makes mistakes, and focusing blame usually doesn’t get you very far, yet it is helpful to illustrate what happens when a mistake is made. Sometimes they don’t go as planned, or more accurately, rarely do things go as planned in injection mold making. In any case, here is a flowchart showing what can happen when mistakes are made in the mold making and molding process. Very often employees are simply not aware of how disruptive a mistake can be. Mold Is Assembled At this point everyone is involved and considers that the mold is finished and ready for production. All the shut-offs are timed, the surface finish is to spec, the waterlines are tested, the ejector pins are correctly installed; it’s done. Mold Is Tested The mold testing requirements are all established, material has been prepared for the molding machine, the testing has been scheduled, and technicians are on hand. There may be a need for special equipment, such as a hot runner controller or chiller. Also, the customer may be present, watching and waiting. Metrology Now the metrology department is in place, ready to inspect the parts. Perhaps the Vision System has been reserved for the occasion and fixtures have been prepared for staging. Once again, the customer very likely is there, waiting to see the first samples from his expensive injection mold. Parts To Customer Customer naturally expects good parts and is now unhappy with the faulty parts. We all know how stressful this can be; everybody is tense and trying to manage a crisis. Fingers might pointed, blame is laid, voices might get loud and angry; not a good scene at all. Now the mold must be returned to shop for mold making repairs or modifications. If the mistake was avoidable or “stupid” things can really get nasty. On the other hand, there can be a hundred reasons for the mistake, and the mold maker might not be to blame. Nobody wins. The boss is upset, the customer is upset, the mold maker is upset, and nobody is making any money! Mistakes happen, that is just part of the job, but many times they should have been avoided. 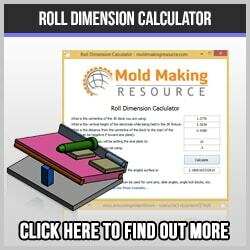 Mold Making And Lean Mfg. It can take a tremendous effort to change a shop culture, but it can and should be done. Once everyone knows what is expected and demanded, the quality improves. Incentives, overtime, bonuses, all go a long way as well. Plus, recognition for a job well done is greatly appreciated!